Pingtel, announced that version 3.6 of the company’s SIPxchange ECS solution has been released. The 3.6 version is focused on extending Pingtel’s Enterprise Communications Server (SIP PBX) leadership through more robust technology and features, improved flexibility, and increased value of the SIPxchange solution by further reducing operational cost. 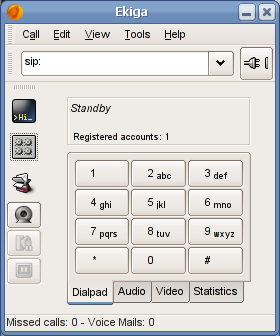 The new version of Pingtel’s SIPxchange ECS also enhances the solution’s superior voice quality. By being built on the SIP standard, SIPxchange ECS has always routed voice packets on a peer-to-peer basis along the fastest path between end-points and not through the PBX. Now, in version 3.6, SIPxchange ECS fully supports Polycom HD Voice technology and the new HDVoice-equipped Polycom IP phone, the SoundPoint IP 650. Using the SoundPoint IP 650 with SIPxchange ECS will enable clearer calls and more productive communications. Opera Software announces that Iwatsu Electric has selected the Opera browser to provide the full Web to its Visual IP phone, a part of Iwatsu's new communication system called PRECOT (Premium Communication Tool). PRECOT is a next generation solution over a broadband IP connection for the enterprise market. With Opera, PRECOT users can access Web mail or any Web page from the convenience of their screen phones. Intended for use in businesses, the PRECOT solution enables users of this phone to access full Internet and Intranet content from the convenience of the Visual IP phone. The Opera browser includes phone-to-tag support making it easy to call from the browser. This means that a user can visit an online telephone directory and simply select the number to place the call. 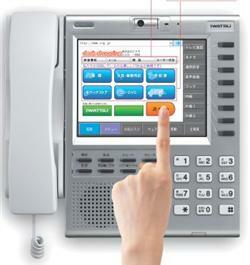 "Iwatsu's PRECOT solution is breaking new ground in integrating the Web into IP telephony. Opera is excited to provide a Web browser to Iwatsu's Visual IP phone to enable access to the Internet on their new IP video phone," says Scott Hedrick, Executive Vice President, Opera Software. "Having a full Internet browser as a part of the phone allows rich integration of corporate data, Web applications, voice and video calling. Users will be able to initiate calls directly from a Web site or the corporate Intranet." Vocalscape announces that they are participating in an open source softphone project - the Ekiga softphone. "Joining the open source community working on the Ekiga softphone allows Vocalscape to share our experience with VoIP technology and provides our customers and end-users with added functionality more quickly," said Ron McIntyre, President of Vocalscape. "Soon, in addition to our Eyefon softphone for Windows, end-users running Linux operating systems will be able to make calls on the Vocalscape network. 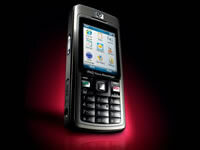 Additionally, the Ekiga softphone will give users some added functionality such as video calling and text messaging." The number of subscribers to retail VoIP services rose by 83% during 2005, from 10.3 million at the beginning of 2005 to over 18.7 million subscribers worldwide by the end of 2005. AT&T announces that Forrester rated it as one of the strongest performers in a thorough evaluation of enterprise-class Voice over Internet Protocol (VoIP) service providers in The Forrester Wave: US Enterprise-Class VoIP Services, Q1 2007 report. One of the earliest providers of a managed WAN- based VoIP offering, AT&T leads all other providers in planned IP Telephony and VoIP feature enhancements for 2007. In extensive evaluations of leading telecommunications services providers, AT&T's VoIP offerings secured leadership rankings on many of the most important attributes expressed by enterprise buyers, including breadth of offering, IP PBX product and feature enhancements, flexibility (particularly for VoIP interoperability with key PSTN features), hosted VoIP and IP Centrex services, managed IP PBX; VoIP conferencing; SIP Trunking and managed services. Arcosoft announces the release of VONaLink SoloRecord for Mac OS X. SoloRecord works with any VoIP phone system based on the open SIP standard, such as Vonage, to record phone calls and to provide screen pops. Also available is a separate ScreenPop product, if recording is not required. SoloRecord and ScreenPop were previously available only for Windows. With traditional phone systems, calls are recorded with either analog equipment or expensive, proprietary products from the phone company. With the latest VoIP systems built on open, standard protocols, calls can be recorded by monitoring network packets. Call recording benefits a company by allowing business transactions over the phone to be verified and disputes resolved. Free mobile calls platform barablu is giving Skype and Google Talk users the chance to make free calls from a mobile. barablu has perfected the technology enabling contacts from Skype and Google Talk to be transferred to a Wi-Fi enabled mobile phone. This breakthrough means users of Skype and Google Talk can utilise the barablu service and call anyone from their contacts list without being tied to their PC. They not only gain free calls, but free texts and voice mail. Free phone calls using the Internet is rapidly attracting a growing number of converts. This demand has up to now been driven by the likes of Skype and there are 171 million registered users worldwide. barablu takes the development into the next generation. With barablu they not only gain free calls, but free texts and voice mail from a Wi-Fi enabled mobile phone. HP introduces the latest HP iPAQ device, a sleek and small smartphone that delivers a flexible wireless email experience for business customers through convenient voice control and hands-free operation. The HP iPAQ 500 series Voice Messenger features voice over Internet protocol (VoIP) capabilities, “push” email and the latest Windows Mobile 6 operating system. With up to six hours of continuous talk time on a fully charged battery, the HP iPAQ Voice Messenger also leads the competition in battery life. As the first in HP’s new smartphone lineup, the HP iPAQ 500 series helps highly mobile professionals stay connected wherever they are. More than 20 voice commands available on the iPAQ offer customers hands-free operation. Using a powerful “voice reply” feature, people can reply to email by dictating and sending a voice response, without the need for any typing. Users also can listen to email and text messages, navigate through phone and calendar tasks and speak to start applications. Sonus Networks announced today at the 3GSM World Congress in Barcelona, Spain that the Company has surpassed a key milestone in the industry's migration to wireless IP voice. Sonus-based wireless networks worldwide now carry more than 10 billion minutes of voice traffic per month. According to the latest research report entitled, "Packetized Wireless Trunking: 2007 Status Report" by independent research firm iLocus, Sonus carries more than 37% of all wireless packet-based traffic. Sonus' IP Multimedia Subsystem (IMS)-ready solutions currently form the backbone of major wireless networks in the United States and Japan. "Like their wireline counterparts, wireless network operators are now beginning to embrace IP-based technologies throughout their networks to take advantage of operational savings and to build a foundation for the delivery of enhanced next generation services, and they are turning to Sonus to help realize those benefits," said Basharat Ashai, Research Manager, iLocus. "Sonus has built some of the most sophisticated IP-based wireless networks in the world, carrying billions of minutes of traffic every month and growing rapidly." BlasterPhone started its operations in July 2003 and soon became VoIP provider of choice for customers worldwide due to its strategically positioned infrastructure in both North and South America. The company's business model allows individuals and business customers, resellers and carriers to benefit from our offerings and expertise by reducing telecommunication costs and expanding their global reach. The BlasterPhone VoIP Reseller Program is designed for businesses that operate in the communications sector and want to utilize BlasterPhone's infrastructure to expand their range of service options or service areas. Resellers are provided with access to BlasterPhone's sophisticated billing platform which allows total control over an entire VoIP operation. Calls termination services are powered by MVTS with SIP-HIT Session Border Controllers which ensures smooth interoperability between industry standard protocols such as SIP and H323. Update: I received an email informing me that the Chinese New Year begins exactly at 9:00am U.S. PST on Feb. 18th for those in China and Vietnam. So now you can help celebrate the second it happens! Pingo announces free calls to China and Vietnam from February 18 through March 4, 2007 to celebrate the Lunar New Year Festival season. Also known as Chinese New Year and the Spring Festival, the fifteen day period annually prompts the largest volume of travel and long-distance calling to those countries as Chinese and Vietnamese people worldwide honor the holiday’s traditional emphasis on family gatherings. Pingo calls are carried over The iBasis Network -- the most extensive international Voice over Internet Protocol (VoIP) network in existence – directly serving more than 100 countries and enabling customers to enjoy the cost-savings of Internet telephony while using regular fixed and mobile phones. "Pingo can help families that are separated by many miles to stay close throughout the year by enabling them to call more often and talk longer," said Ofer Gneezy, president and CEO of iBasis. "Because of the efficiency of our network and our buying power as a leading wholesale carrier we’re able to offer this special incentive to encourage those with family in China or Vietnam to join them for the holidays, at least over the phone, and then continue saving with Pingo." fring further underlines its leading position as the only true end-to-end mVoIP (mobile VoIP) application provider certified by Symbian ‘Signed for Nokia Program’. Operating on all Nokia S60 3rd edition handsets, fringsters can now talk and chat over Skype, Google Talk and MSN Messenger in addition to other fring users, for free. fring is a free, PC-independent, downloadable mobile phone application that enables anyone with a compatible handset1 to talk and chat for free. fring users calling over 3G mobile networks use only the data within their existing subscription agreement and are not charged for air time. fring can also be used over Wi-Fi at home, in the office or at the many “hot spot” cafes making mobile calls completely free. 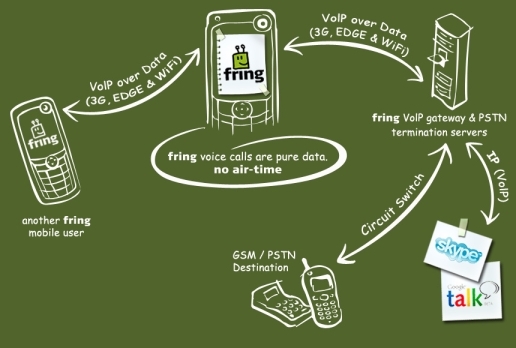 fring is mobile-operator independent and is available by SMS invitation from a fring user or by registering at www.fring.com. Truphone confirmes that its mobile VoIP service is supported on three new Nokia handsets: the Wi-Fi-equipped Nokia E61i, Nokia E65 and Nokia E90 models. Truphone enables Wi-Fi-equipped mobile phones to make internet-rate phone calls (VoIP calls) over Wi-Fi connections. When the handset is not in Wi-Fi range it reverts from being a 'Truphone' to being a normal mobile handset, so people need only one device. "The new Nokia E61i, Nokia E65 and Nokia E90 phones will be very popular and Truphone works on them from day one," said James Tagg, CEO of Truphone. "With other manufacturers also starting to put Wi-Fi on handsets, 2007 is the year that mobile meets the Internet - and that means Truphone VoIP," he added. The Truphone client software has completed the Symbian signing process and is available for all new and existing Nokia Wi-Fi VoIP handsets. HelloSoft announces BenQ has licensed HelloSoft's VoIP technologies (HelloDual-Mode) for use in BenQ's dual-mode handsets. HelloSoft products can enable mobile device manufacturers to design and architect products that are power-efficient and provide substantial cost benefits. HelloSoft provides the most optimized and comprehensive software solution for enabling VoIP on mobile handsets without having to make changes to the existing hardware designs. Using HelloDual-Mode, OEMs and ODMs can deliver VoIP enabled multi-media mobile handsets with a shorter time to market. "With HelloSoft's highly optimized and power-efficient VoIP software integrated into BenQ's multi-mode handsets, users can enjoy the benefits of high quality voice coupled with reduced power consumption at lower costs," said Dr. Irwin Chen, General Manager of BenQ Mobile Communications Group. "We are excited about integrating HelloDual-Mode into our handset products." Sonim Technologies announced that Telefonica Móviles España has chosen the XP1, a durable, ruggedized handset that offers push-to-talk functions in extreme environments. Sonim designed the XP1 to comply with the Open Mobile Alliance Push-To-Talk-Over-Cellular standard, offering instantaneous one-to-one or one-to-many communications capabilities. The XP1 will work with the Nokia OMA PoC-compliant server to provide a complete, certified push-to-talk solution for Telefonica. Sonim’s XP1 is designed to operate in outdoor and environmentally harsh conditions, and the handset is IP52-Certified, making it resistant to the two most prohibitive conditions for outdoor use: dust and dirt. 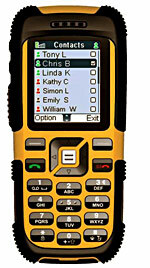 The XP1’s durable features, combined with its OMA PoC certification, make it an ideal communications device for industrial and municipal workforces. Small and medium businesses worldwide feel confused by the multiple and complex range of VoIP solutions, despite all the hype about VoIP’s projected toll cost savings, productivity improvements, and a more professional market presence. Over the past few years, an increasing number of VoIP solutions have come to market that are aimed at the SMB segment. Yet, most SMBs are unable to evaluate and decide which VoIP solution is best for them.